Our final Holiday Offer is here! on the purchase of any 2018 FirePower Kids Camp! Offer applies to new bookings only, and you can book as many weeks of camp as you like! We’re thrilled with your contributions to our food drive! 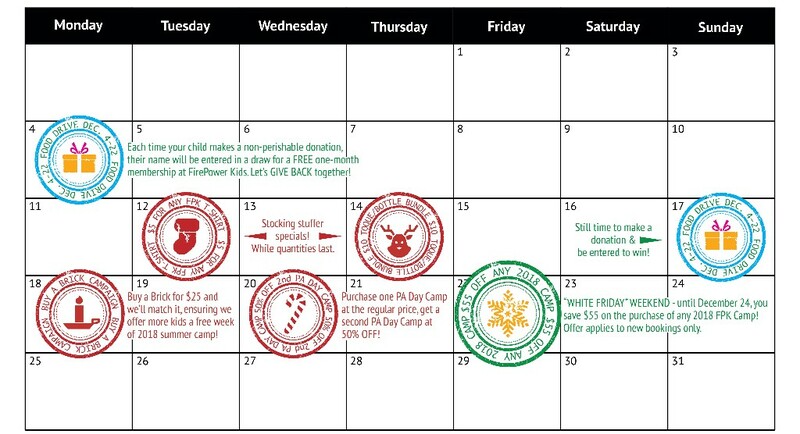 Each time your child makes a non-perishable donation, their name is entered in a draw for a FREE one-month membership at FirePower Kids.